The Maurice Wilkins Centre’s Scientific Advisory Board comprises seven internationally recognised scientists and bio-entrepreneurs. The Board meets biennially to review the Centre’s research programme. At its most recent review, in 2016, the Board was of the unanimous view that the quality of the science undertaken by the MWC is outstanding. 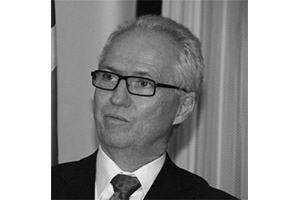 Professor Peter Andrews served as Queensland's first Chief Scientist from 2003 to 2010. Before that, he led multidisciplinary scientific teams in several Australian universities and co-founded six biotechnology companies. 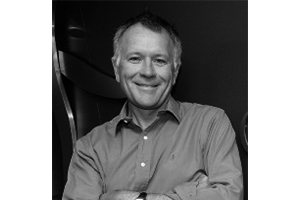 He is currently chairman of Implicit Bioscience, Vast Bioscience, qutbluebox and the Magic Pudding Company. 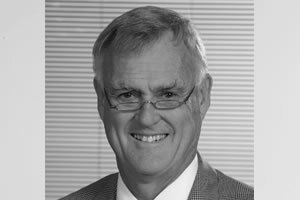 He is a Fellow of the Royal Australian Chemical Institute, the Australian Academy of Technology and Engineering, and the Australian Institute of Company Directors. In 2004 he was appointed an Officer of the Order of Australia. His book "Überpreneurs: how to create innovative global businesses and transform human societies", co-authored with social scientist Dr Fiona Wood, was published in 2014. Dr Christopher B. (Chris) Cooper currently serves as Senior Director, Chemistry, at TB Alliance. After receiving his Ph.D. from Stanford University in 1988, Dr Cooper spent over ten years engaged in medicinal chemistry research at Pfizer, Inc. in both the US and UK. In 1998, Chris joined Bristol-Myers Squibb, Inc. (BMS) to launch the Lead Synthesis Group spearheading the design and synthesis of drug-like medicinal chemistry arrays. Dr Cooper’s team was responsible for the pharmacological assessment of exploratory biological targets, and the advancement of early- and full-phase discovery programs. Dr Cooper joined TB Alliance in 2009 where he oversees the Alliance’s global discovery and preclinical development chemistry activities. Chris has published over 70 peer-reviewed papers, and is co-inventor on over two dozen U.S. and PCT patents. Professor Cory is the immediate past President of the Australian Academy of Science. She was Director of The Walter and Eliza Hall Institute of Medical Research (Australia) and Professor of Medical Biology of The University of Melbourne from 1996 to 2009 and a Vice-Chancellor’s Fellow of The University of Melbourne from 2010 to 2014. She is currently a Research Professor in the Molecular Genetics of Cancer Division at The Walter and Eliza Hall Institute. Professor Cory has enjoyed an illustrious research career in the field of molecular genetics of immunology and cancer and the control of apoptosis. She has been elected a Fellow of Royal Society (1992), a Foreign Member of the US National Academy of Sciences (1997), American Academy of Arts and Sciences, French Academy of Sciences (2002), and the Japan Academy (2013) and was awarded a L'Oréal-UNESCO Award for Women in Science in 2001 and the Royal Medal of the Royal Society in 2002. Dr Jilly Evans is a New Zealander who has led drug development programmes in Canada and the United States. She is Chief Scientific Officer and co-founder of PharmAkea Therapeutics (USA), which aims to develop small molecule drugs to treat cancer and fibrotic disease. She was formerly a consultant at Celgene, and co-founder of Amira Pharmaceuticals, a San Diego-based biopharmaceutical company specializing in inflammatory and fibrotic diseases. Prior to these roles she spent 23 years with Merck Research Laboratories where she played a key role in the development of Singulair and Vioxx. Her knowledge of the pharmaceutical industry and her passion for the promotion of science provides important input into the core missions of the Maurice Wilkins Centre. Professor Adrian Harris has been the Cancer Research UK Professor of Medical Oncology in the Department of Oncology at University of Oxford since 1988 and is also a Professorial Fellow of St Hugh's College, University of Oxford. He is a Consultant Medical Oncologist at the Oxford University Hospitals NHS Trust. He was also the Director of Molecular Oncology Laboratory at the University of Oxford. He trained in Medicine and Biochemistry at Liverpool University and subsequently received his DPhil from Oxford University. He then trained at the Royal Marsden Hospital in Medical Oncology. 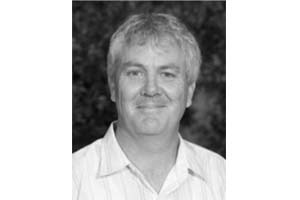 Professor James currently holds the Leonard P Ullmann Chair in Molecular Systems Biology and he is the Domain Leader for Biology at the Charles Perkins Centre, University of Sydney. Professor James has made major contributions to our understanding of insulin action. In the late 1980s he published a series of journal articles in Nature describing the identification and characterization of the insulin responsive glucose transporter GLUT4. Professor James then focused his efforts on unveiling the cellular and molecular control of insulin-stimulated glucose transport. He has also made contributions in the area of SNARE proteins, signal transduction and more recently in systems biology. He has won several awards including the Glaxo Wellcome Medal for Medical Research and the Kellion medal for outstanding contributions to Diabetes research. In 2007 he was elected as a fellow of the Australian Academy of Science and was awarded the NSW Premier Prize in Excellence in Medical Biological Sciences in 2016. He is on the editorial board of a number of prestigious journals and he is regularly invited to speak at key international meetings on diabetes and metabolism. Dr Warwick Tong is CEO of Cancer Therapeutics CRC in Melbourne, Australia. He brings more than 23 years’ experience of senior leadership in medical, clinical, commercial and business development in the major pharmaceutical and biotechnology sectors. 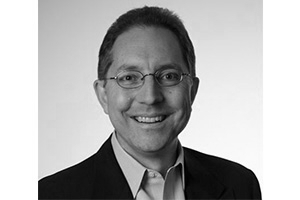 From 2005 to 2011 he was SVP, Development, for Surface Logix Inc, Boston USA. Previously he held positions at GlaxoSmithKline (GSK), including country, regional and global roles as Medical Director, Business Development Director and VP Commercial Strategy for Infectious Disease. Before his pharmaceutical industry career Dr Tong worked in primary care medicine for 14 years, founding two medical clinics in New Zealand. 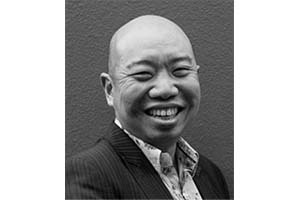 He graduated as Senior Scholar in Medicine from the University of Auckland and has a postgraduate qualification in Public Policy from Victoria University, Wellington. His research focuses on the mechanism by which group A streptococcus (GAS) causes invasive disease, with the aim of developing GAS vaccines. Diseases range from mild skin infections to severe diseases such as septicemia, and toxic shock syndrome. 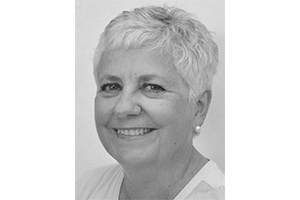 Dr Jeanette Wood is board director and scientific advisor for various academic and biotech organisations. She has more than 30 years’ experience as a senior manager leading small molecule drug discovery teams in big pharma and biotech with a track record of drugs in clinical development and on the market. Previous roles include CSO at Genkyotex, Switzerland; VP of iScience at Astrazeneca, UK; Head of Biology at S*BIO, Singapore; Head of the Angiogenesis Platform at Novartis, Switzerland; and Cardiovascular Group Leader at Ciba-Geigy, Switzerland. 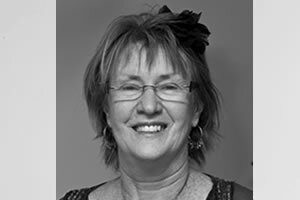 Dr Wood obtained her PhD in Pharmacology at the University of Otago and has served as an Adjuvant Professor at universities in Switzerland, Singapore, Korea and New Zealand. She is author of numerous scientific publications and patents. 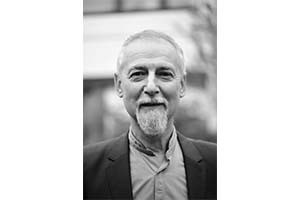 Giles is a postgraduate Tutor and Fellow of Wolfson College. He is also the current President of the British Society for Neuroendocrinology. Giles was the first to report that mutations in the melanocortin-4 receptor (MC4R) and in the neurotrophic receptor TRKB resulted in severe human obesity. In 2007, he became Scientific Director of the core Genomics/Transcriptomics facilities and a group leader at the University of Cambridge Metabolic Research Labs. Giles is also a presenter for BBC Horizon. His first programme was ‘Why are we getting so fat?’, which aired June 2016. Most recently, His investigative piece ‘Clean eating – The dirty truth’ for BBC Horizon was screened on January 2017. The film has been critically acclaimed and has prompted an important national debate about dieting advice and evidence based science.